We would like to officially welcome everyone to the 2018-19 school year and we look forward to another exciting year. First and foremost, let’s give a moment to honor our class of 2018 for their outstanding leadership and accomplishments. It was a bittersweet moment at our graduation ceremony to send the outstanding class of 2018 and the memory they left behind. At the same time, we are so proud to give them the opportunities to succeed in the next phase of their lives. Students begin their high school journey in the ninth grade academy to include two HOUSES, Lokahi (Public service) and Imiloa (Innovation) based on the RIASEC interest inventory completed in the 8th grade. Our students follow a program of study based on their interest to ensure they enroll in electives that promote. We provide relevant learning experiences surrounded by relationships and rigor. This is a smaller learning community concept allow teachers to design lessons and supports for students. Over the years, our school is noted for a variety of offerings in Advanced Placement courses and now to include Computer Science. We also welcome our first Early College Program offered after school on our campus through Leeward Community College starting with Speech 151 in the fall. Tuition and books are covered under the Freeman Foundation’s Grant. Our school believes that all students have equity and access to rigorous courses and experiences. We work towards the engagement of our parents and industry partners as we develop “transferable” skills so students are able to adapt to the ever-changing world. Our supports are geared toward amplifying student voices, providing time for teachers to collaborate and to design a structure to support the needs of our students and community. Again, we are excited about entering this new school year and the magic we can create together. 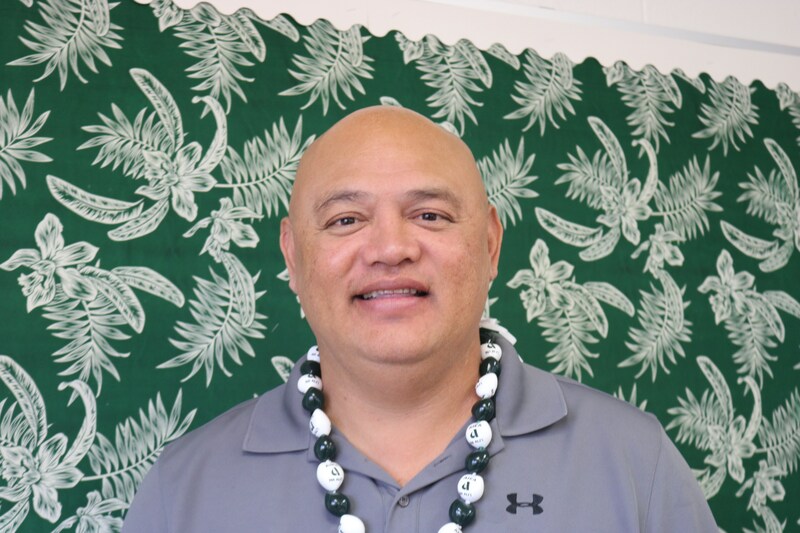 Please feel free to contact me at 808 305-6500 or email david_tanuvasa@notes.k12.hi.us anytime.